You’ve probably been hearing a lot about Fast Fashion vs Sustainable Fashion of late, but seriously what’s the big deal about it? Think of fast fashion like fast food. You go up to the counter and order a one-size-fits-all meal. At that very moment, it’s delicious enough and it feels like it hit all the right spots. But we all know that too much of it will never be good for you because of all the processed foods and sugars that contribute to the empty calories in it. In a similar fashion, clothing chains that are labeled as “fast fashion” usually produce clothes on a mass market level that may also be leaving a lot of fabric wastage in their wake. Or they could also be unaware of whether the working conditions of factory workers can pass ethical standards. To many woke buyers nowadays, just these two factors are serious no-nos. Companies that say their clothes are considered sustainable fashion are companies that have relooked mass production and supply chain methods, and changed the way they source for materials and manpower to make sure that every step is ethical, and being responsible for our humanity as well as the environment. Even some big fashion companies are taking a step in the right direction when it comes to being socially responsible in their clothes production, one of which is H&M with their line of H&M Conscious. Convinced? Great! 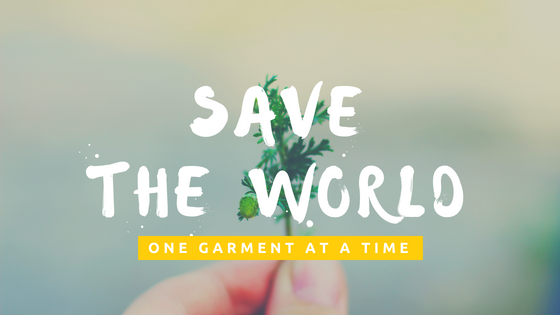 Here are some shops with clothes that are fashionable, fierce and fair so you can also start taking a step in the right direction with caring for our world too. The founders of People Tree think of themselves as pioneers in ethical and sustainable fashion since they started over 25 years ago. They also pride themselves as being the first clothing company to receive the World Fair Trade Organisation Fair Trade product mark since 2013. One thing they want to prove is that clothes produced in an ethical, organic, and fairtrade manner can also be considered fashionable. What results is a wide range of very flattering cut clothes for women that is quite on trend. Nothing boring is on their pages and they are constantly releasing new prints and cuts at every season. 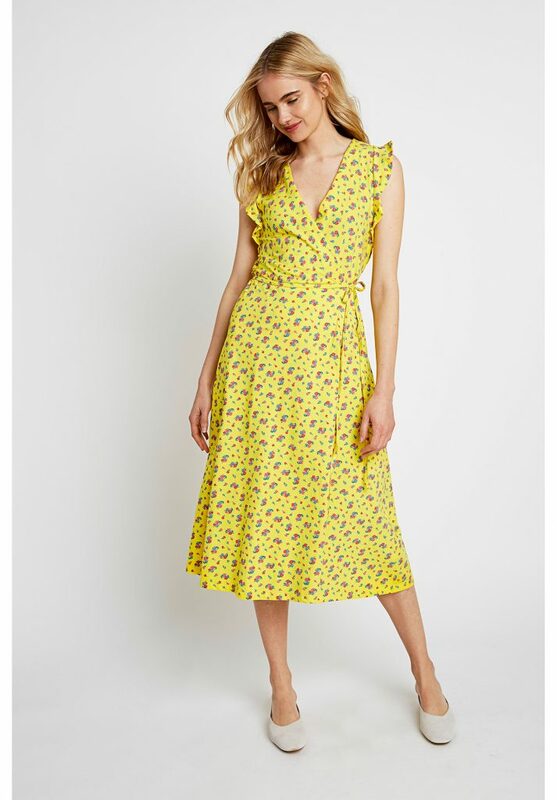 We are liking this year’s summer styles in bright florals, especially this Magdalena Wrap Dress where the yellow is just joy! Vildnis is another UK brand that has a very unique stance in the world of ethical fashion. 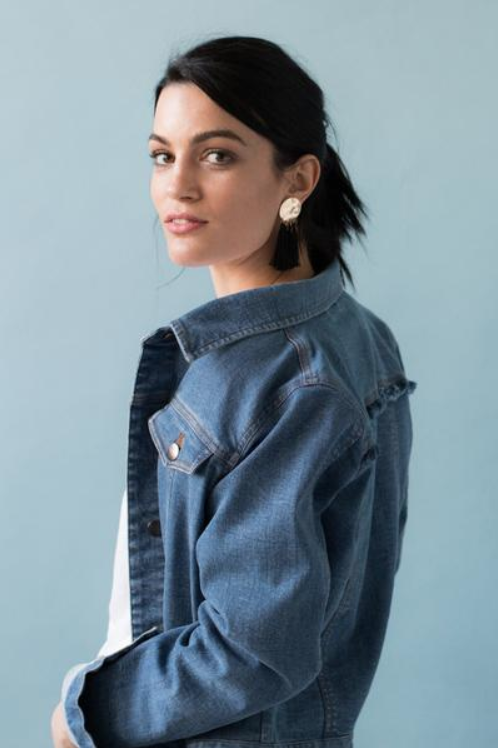 Their first and foremost priority is caring for our environment and guarding against the devastating effects that have been in motion since the birth of fast fashion. Even the leather products they sell on their online shop is repurposed leather from vintage pieces, a testament to their belief that forests are being destroyed in order to raise cattle for the rising demand of leather. They have quite an extensive page to the reasons behind their movement against fast fashion which is worth a read. As for their products, we find that the pieces they produce are great as basics to be used for building up a stunning outfit. Our pick would be the Kalahari Denim Jacket that can be matched in the most versatile of ways. We first heard of Miakoda through our very own locally based champion of ethical fashion, Matter Prints. Based in NY, it’s quite amazing to note that Miakoda only produces all their active and intimate wear locally, which means factories that are run right in the garment district in New York! In the world we live in today, that is nearly unheard of because of the higher costs involved, but Miakoda have proven you can do that and still be profitable. One of the things they are pretty big about and want to stick by is the belief of zero waste. One of the ways they do that is to repurpose their fabric scraps into accessories. Genius! 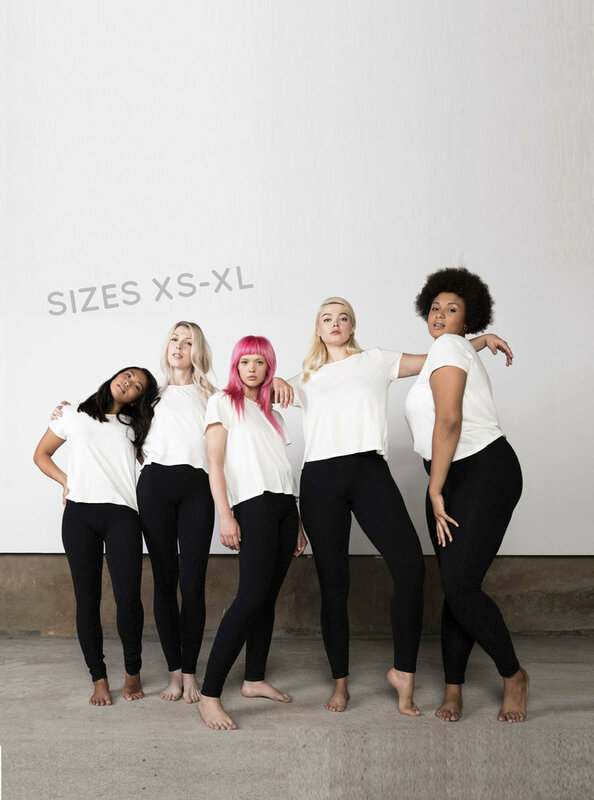 Yoga fanatics will love their Luxury Cotton Leggings that come in very inclusive sizes. Even their bralettes seem extremely comfy and worth a try. Taking the step towards becoming eco-conscious means that we have to start being aware and finding out where our materials come from, how they are sourced, and being mindful of who exactly are making them. Par En Par sources all their organic cotton from India, handloomed by artisans (not factory workers), therefore ensuring that the fabric produced comes with a higher level of craftsmanship. Even the act of getting artisans from rural regions of India involved in their production process makes sure that jobs are provided for and families in more impoverished states. Their resort style in the clothes are easily wearable especially in our humid climate in Malaysia. 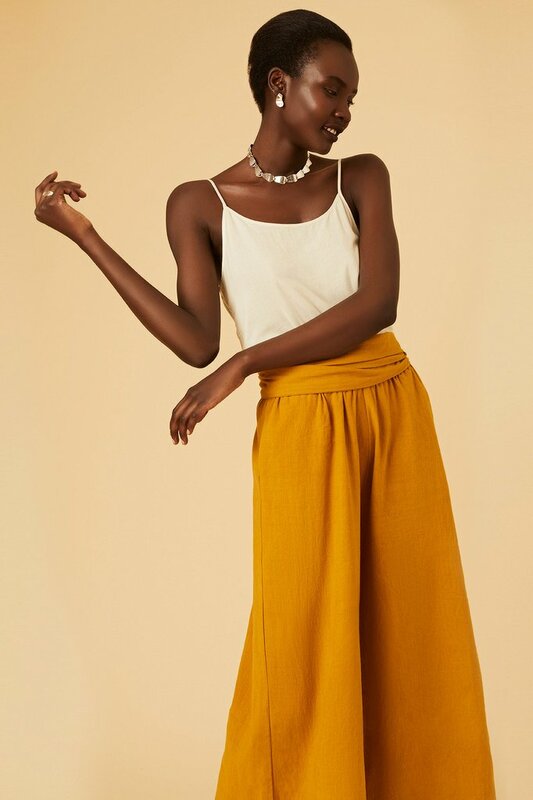 One that you’d definitely feel classy yet comfy in would be these Tie-Waist Culottes. Wear them for work or the weekend! Being eco-conscious should reach from your head to your tippy toes. Avarcas USA is a footwear brand founded by a husband and wife duo hailing from Barcelona. 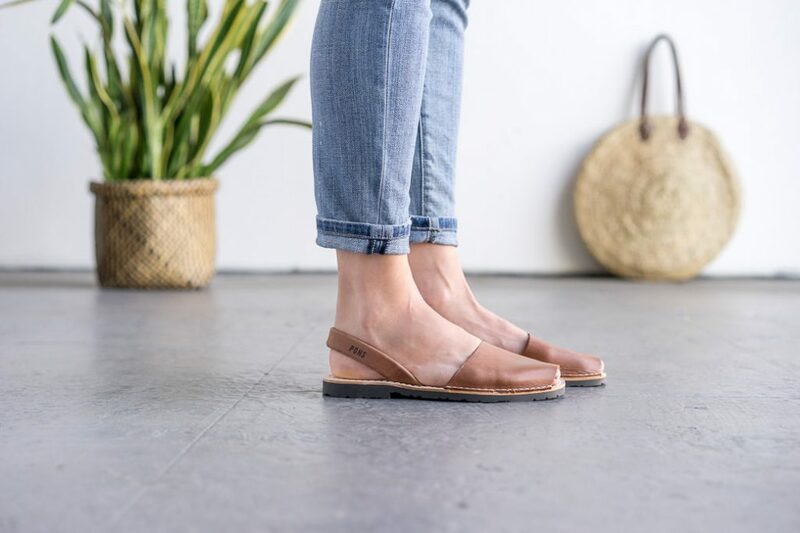 They brought their traditional Spanish footwear first to San Diego and upon receiving many compliments on them, realized how they needed to spread the love of these comfy and versatile sandal all over America. Since then, have been bringing in a Spanish based family footwear business, Pons, that are made from all natural leather and recycled tires. The Pons family business is into their third generation now and focus on producing footwear that is handmade with great attention to details, using raw materials 100% sourced from Spain. What we love is that this laidback style is so universal that men, women and even kids can wear them! Since these featured shops are champions of eco-consciousness and sustainability, they do not necessarily come at a scale that would think of delivering their products straight to Malaysia. Which is where we at BuyandShip come in. These brands offer free shipping to their local markets, like in the UK and US, so be sure to make use our BuyandShip’s overseas warehouse addresses and get shipping real cheap when you shop from them and heal the world one garment at a time!